I have a request of you Graphics Geniuses out there. 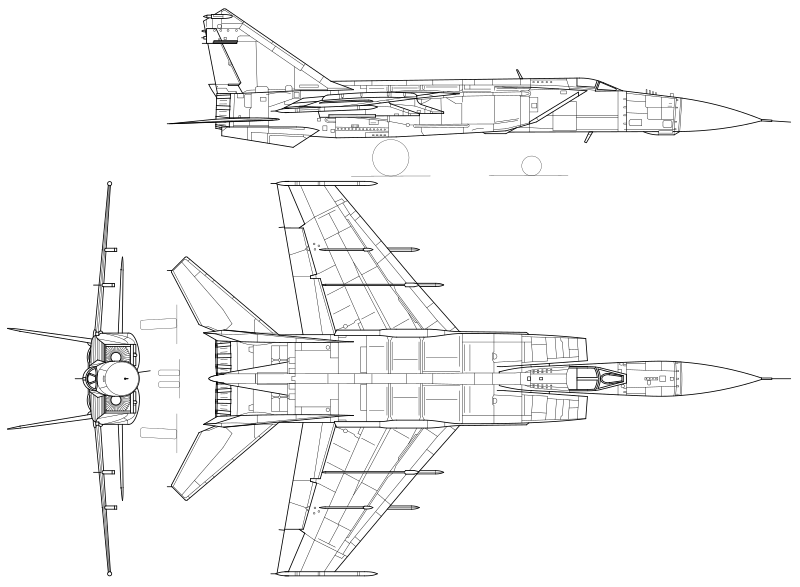 I would really like, and greatly appreciate, a more accurate A-5 Vigilante shape/texture (than what is currently available) if it is at all possible. The new aircraft will be incorporated in the upcoming Linebacker Campaign. Obviously I'm clueless when it comes to graphics shape editting and the options available for modification. It would be nice if we could cut & paste different aircraft parts together. I'm currently using a gray painted MiG-31 shape/texture for the A-5. I noticed someone used the TU-26 to simulate the A-5, but my pickiness won't allow me to overlook the swing wing. Update: The MiG-25 is probably the best choice. I think they made the engine exhaust look ridiculously large (the A-37 as well), but other than that, sure it'll work. Any chance you could move the nose forward or the engine intakes backward? Last edited by usnraptor on Tue Sep 11, 2018 22:51 pm, edited 1 time in total. Shape editing will remove the extra tail... 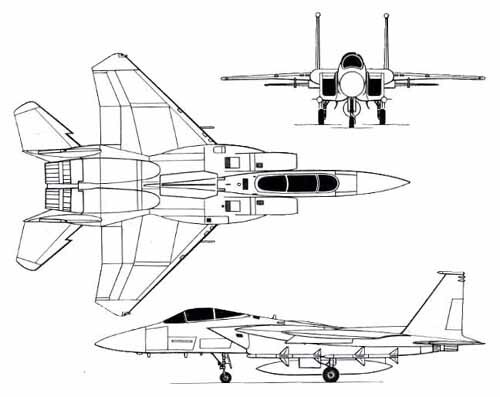 The F-15 has the right intakes but the wrong rearend... The MiG-25 would probably be a better start point, especially considering the Soviets use the A-5 as the starting point for the Foxbat in the first place. It would be nice to have it when the new campaign is finished. I have 13 missions done; 12 more to go. I'm predicting at least 6 more weeks to completion. Is it possible that I could also incorporate said shape into my own projects? The FA bug is calling me. It would be nice to use for my Cuba '62 campaign + Game Remod X. That would be great, CAG. I built a flight model (modified from F-111F flight model); however, no guarantee on its accuracy. Development is proceeding... I also have more time to work on it now so I expect to have this done by the end of next week..., I think you will truly like it! Sounds great! I'm currently working on mission 19 of 25. How accurate do you want the destroyed shapes and skins to be? Also do you want a matching shadow shape? This is your project; you are the artist. I'll gladly accept what you are willing to submit. The look & stability (i.e. 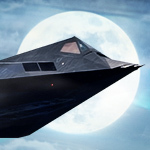 no CTDs) of the flying aircraft is the 98% we are all interested in the most. 22 of the 25 missions are completed. I doubt the campaign will be done by Halloween, but likely by mid-November (barring any life events getting in the way). I'm planning on being on vacation the week of Oct 21st (again, barring any life events getting in the way). Last edited by usnraptor on Tue Oct 16, 2018 00:12 am, edited 1 time in total.